Assuming that your house is still standing after a disaster and the authorities haven’t attempted to evacuate you, the best thing for you to do is to stay indoors with your air vents sealed. For instance, in the event of an earthquake, a good amount of dust is stirred up into the air, bringing with it a number of soil fungi that have been shown to cause lung infections in earthquake survivors, such as coccidioidomycosis immitis which is the cause of San Joaquin Valley Fever. (Refer to Jacobs, A.V. and Leaf, H. (2007). Fungal infections of the lung. Current Infectious Disease Reports, vol. 1, pp. 89-98 and Torre, J. and Richard, A.J. (2008). Coccidioidomycosis, emedicine, http://emedicine.medscape.com/article/781632-overview). So how do you survive in an air tight environment for a few weeks? Yep, you guessed it: Plants! 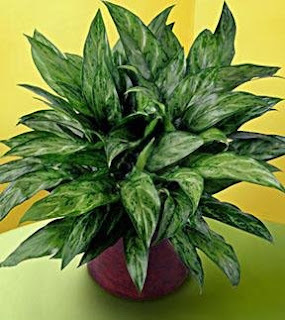 This study found that a particular fifteen houseplants performed better at air filtration than was ever expected. The signs and symptoms of this syndrome include: fatigue, nausea, confusion, flu-like symptoms, sinusitis, anxiety, pneumonia, headache, lack of concentration, edema, allergies, and insomnia, irritation of the eyes, nose and mouth. Now if you’re wondering how formaldehyde, benzene, and trichloroethylene get into your house, they do it like every other criminal, they pick the locks. No really, they are more like vampires, you invite them in… by bringing paper, cardboard, particle board, insulation, paints, oil solvents, adhesives, inks, varnishes, perfumes, deodorants, body lotions, cleaning products, smoke, pesticides, synthetic fabrics, carpets, detergents, etc. into your home. Darn, there goes the good things in life. So here you are stuck in your house, trying to avoid the nuclear fallout like every other normal, non-mutant person, and all you have is books to read and walls to paint. Then you get that cleaning urge because you’ve got nothing to do except stare at the dust collecting on all the DVDs you can’t use because the power is out. So, you clean and of course you have to varnish what remains of your furniture… and now you need to apply three layers of deodorant because you stink from all that work. But then, suddenly, one of the radiation mutated cockroaches from the underworld just ate your dog and you have to whip out two cans of industrial strength bug spray because there is no way in Tartarus that your shoe is big enough to kill that thing. What do you do? 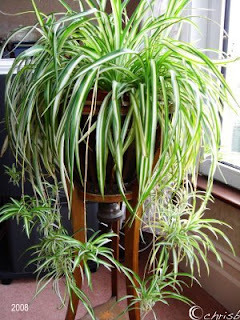 NASA suggested that there should be at least two plants per 100 square feet, or two plants per a small room/office. 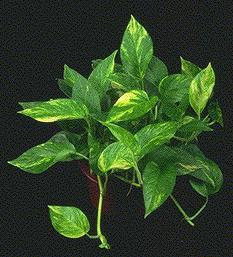 The results recommended 15 to 18 houseplants, grown in 15cm containers or larger, to filter an average home of less than 2,000 square feet. My grandma seems to apply the more is better rule: her kitchen looks like the rain forest. For those of you whom are interested in which plants filter what chemicals…. Green Spider plant, Peace lily, Bamboo palm, Mother-in-law’s tongue, draecena marginate, golden paths, and dracaena warneckei. Peace lily, Bamboo palm, Gerbera daisies, Mother-in-law’s tongue, English Ivy, and Pot mums (my grandma loves these). Peace lily, Bamboo palm, and Gerbera daisy. Well, again, I better sign off for today. Again, i must hit the books. May you enjoy your time with your Mother-in-law’s tongue. This is a repost from Wilderness Medicine and Disaster Preparedness. You can read more from little doc there or in the APN forums Dear Littledoc. Littledoc says that the advice given in this forum should not replace the advice of your primary care physicians. The American Preppers Network is not responsible for any medical advice given, or taken, at this forum or blog.